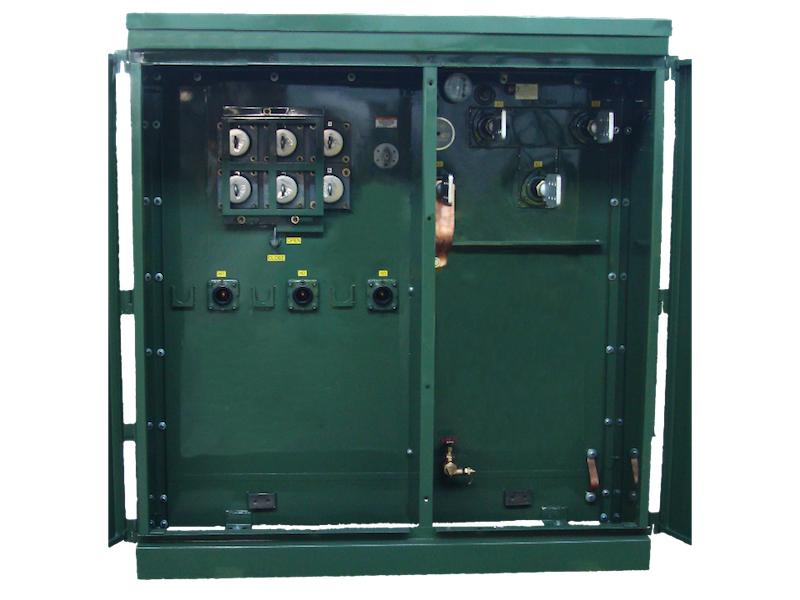 Padmount Transformers by American Electric Components, Inc.
Tamper-resistant tank design with compartments assembled as integral units for flush mounting on a flat, rigid surface (generally on a concrete pad). The entire unit may be rolled, skidded, jacked, or hoisted by its lifting hooks into place. 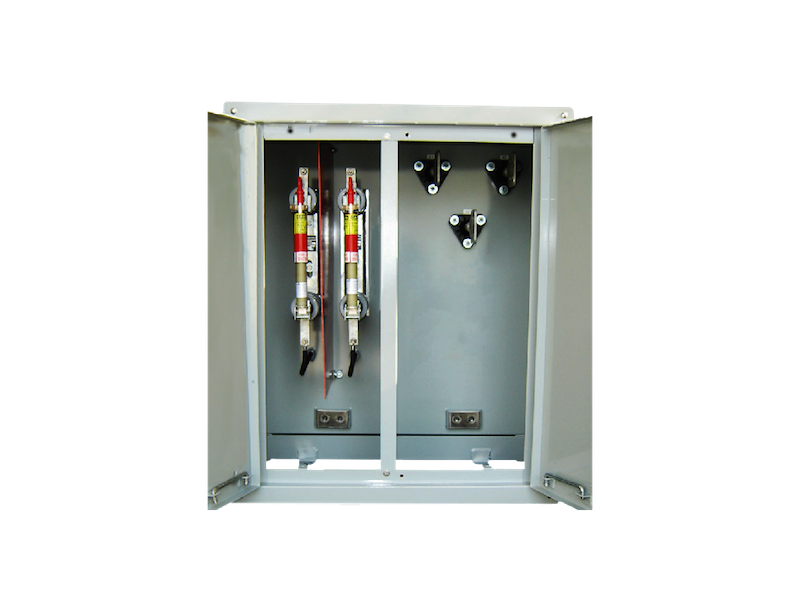 The Pad-Compartment design is used to step down high voltage from distribution power supplies via underground cables. The cables can be economically connected to the bushings or to factory-installed auxiliary equipment with minimal labor. 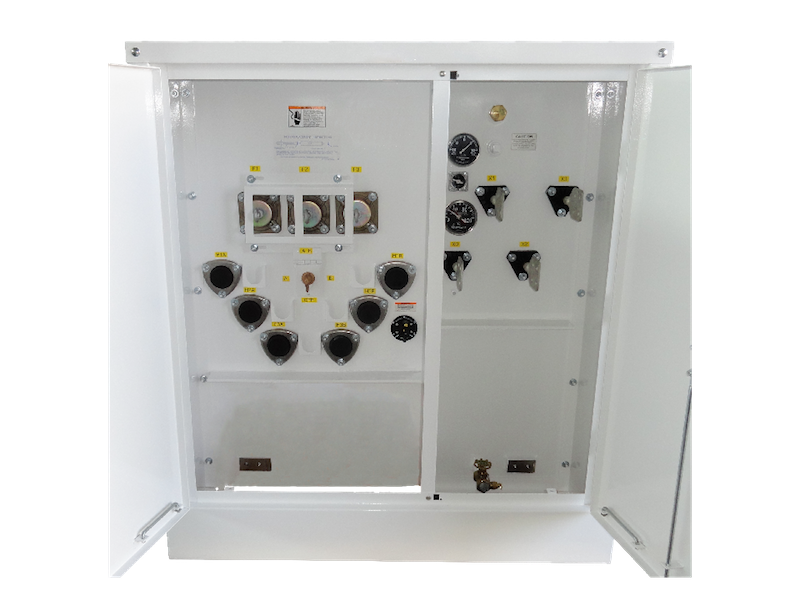 For safety purposes, the high voltage compartmental door on the left can only be opened after the low voltage door on the right has been opened. The door has a pad-lockable handle to its 3-point latch. The compartments are separated by a metal barrier, to further ensure safety. Radial or Loop Feed. Live or Dead Front. 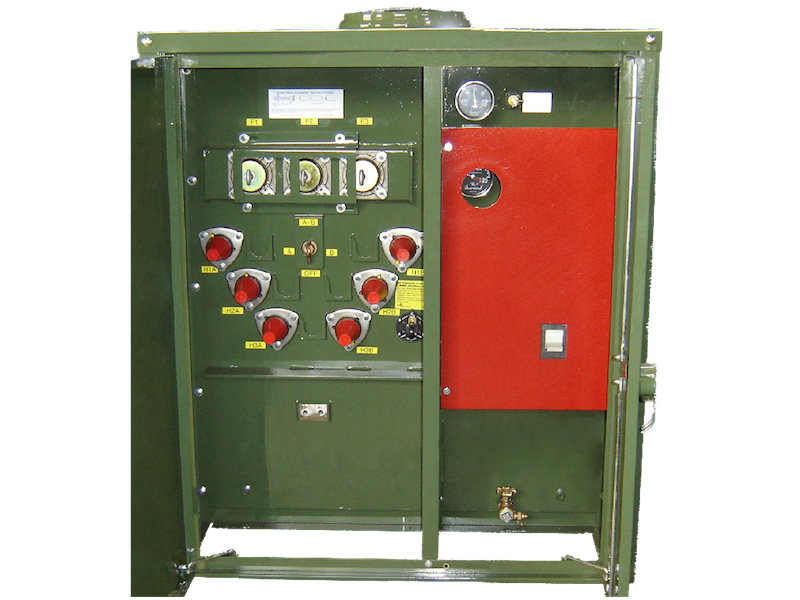 Load break switch 15 KV, 200A, on-off. 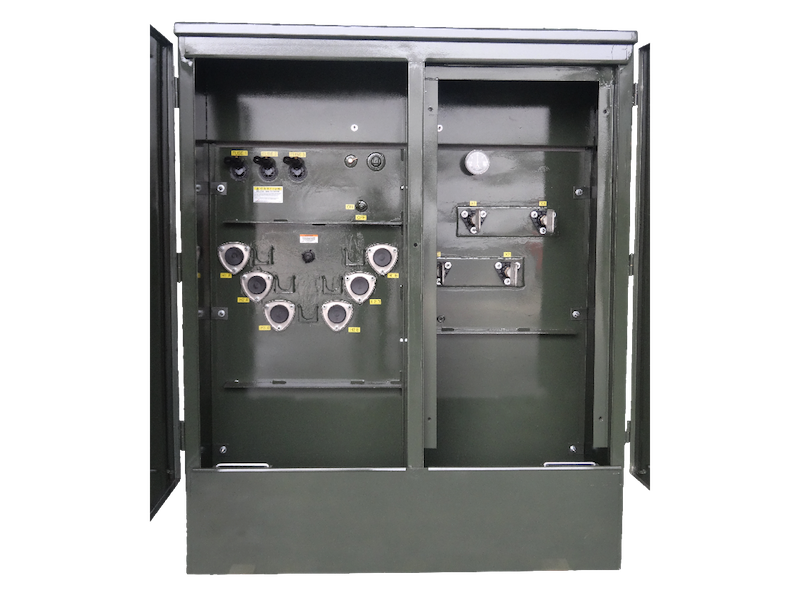 Load break switch 15 KV, 200A, 4 position (loop feed system). 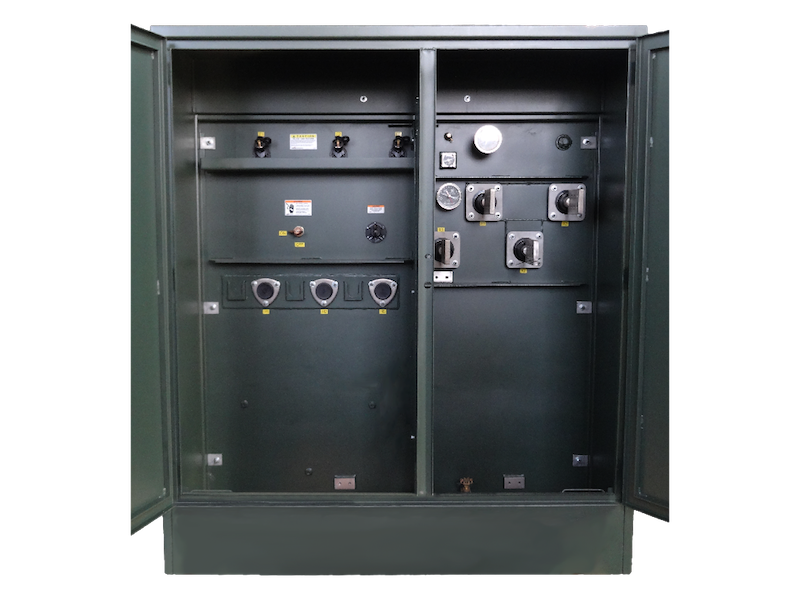 Lightning arresters: Live or Dead Front. Bayonet with ELSP Current-Limiting Backup Fuse. Dry well canister with Current-Limiting Fuse.